It might have been on Shalamars Top 20 smash ï¿½Dancing in the Sheetsï¿½ from the Footloose soundtrack, or its Grammy Award-winning ï¿½Dont Get Stopped in Beverly Hillsï¿½ from Beverly Hills Cop. Or maybe it was with Crown of Thorns, the hard-hitting band he and the Plasmatics Jean Beauvoir fronted during the early 90s. Or perhaps it was on albums by Janet Jackson and Wendy O Williams. Suffice to say the guys been around awhile. And now, after five years of making award-winning and spiritually enriching Native American flute music, FREE is back and rockin with AMERICAN HORSE, a fierce thoroughbred of an album whose 11 tracks remind us of the singular musical talent he possesses. AMERICAN HORSE starts at a gallop with the bluesy attack of ï¿½Wounded Knee,ï¿½ a heartfelt paean to the 1890 incident that FREE--whose bloodline comes from the Comanche and Cherokee tribes--reprises at the end of the album with a ï¿½warrior versionï¿½ of the song. ï¿½New York New Yorkï¿½ and ï¿½Lucky #7ï¿½ are blazing, straightforward rockers, while ï¿½Drowning Poolï¿½ recalls the droning ambience of Robin Trower and certain Led Zeppelin songs. FREE delves into Texas-style slide playing on ï¿½Black Moon Risingï¿½ and visits the Mississippi Delta on ï¿½Angels in the Room,ï¿½ and then changes the pace with the melodic, rootsy gentleness of ï¿½Heathers Armsï¿½ And, of course, it wouldnt be a Micki Free album without a nod or two to his hero, Jimi Hendrix, which he does twice on a coupling of the little-known ï¿½Hey Babyï¿½ with ï¿½New Rising Sunï¿½ and a ferocious, 17-minute ï¿½Voodoo Chile Bluesï¿½ that was recorded in one take at Nashvilles Quad Studios with bassist David Santos (Billy Joel, John Fogerty) and drummer Cindy Blackman (Lenny Kravitz, Rachel Z). 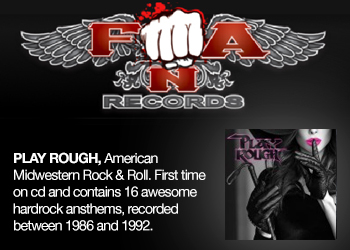 Truth be told, FREE has always forged his own path, driven by spirit and passion rather than rote music biz conventions. Born in West Texas, he grew up mostly in Europe where his stepfather, an Army sergeant, was stationed and where FREE was introduced to rock n roll. ï¿½I wasnt a Beatles guy,ï¿½ he recalls now. ï¿½I dug the Beatles, but I heard Hendrix and Cream and the Stones and that was it. Im more of a bad-boy guy, I guess.ï¿½ FREE was moved to start playing himself after getting a chance to see Hendrix play live in Germany, with tickets his father was given by a colleague that he subsequently passed on to one of FREEs five sisters, who took him along to the show. FREE headed west in 1979, and after sleeping on girlfriends floors and hanging out at the famous Rainbow bar, he eventually did hook up with Simmons again--a chance meeting at a studio where both happened to be working. FREE wound up going on tour and being managed by Diana Ross, Simmons then-girlfriend, and after coming off the road he was offered membership in Shalamar; though his initial instinct was to turn it down, Simmons counseled FREE that ï¿½if you join this band it will be like getting into a limo instead of a cab right now.ï¿½ FREE took the gig and didnt look back. ï¿½I won a Grammy Award with them, so it was obviously the right move,ï¿½ he says. FREE won further notoriety when comedian Dave Chappelle put together a CHAPPELLES SHOW skit poking fun at the guitarists long-haired good looks, mistaking him for a woman before finally declaring that ï¿½Micki Free is not a girl!ï¿½ ï¿½I became infamous overnight,ï¿½ Free says. 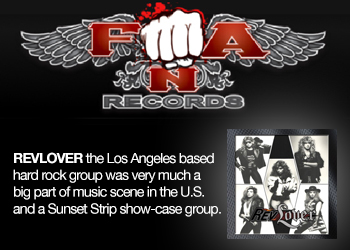 After Shalamar, FREE hooked up with Beauvoir, who had been playing with Little Steven Van Zandts Disciples of Soul, in Crown of Thorns, which was managed by Amazing Management (Gene Simmons and Paul Stanley) and produced by Jean, Micki and Paul Stanley. After a pair of albums in that configuration, FREE decided to go solo with 2002ï¿½s BLACK MOON...BLACK SUN, the first of his two solo rock albums. 2002ï¿½s GYPSY COWBOY was nominated for seven Native American Awards (Nammys), which named him ï¿½Best Male Artist of the Yearï¿½ in 2002. Onetime Cheap Trick bassist Jon Brant was part of his Micki Free Electric Blues Experience, while FREEs path also led to work with LA & Babyface, Queens Roger Taylor, the late Tony Thompson of Chic, former Yes guitarist Trevor Rabin and others. More Nammys followed after FREE decided to ï¿½follow the red pathï¿½ of his heritage and embrace Native American flute music, starting with 2003s THE SUN CHASER. A varied group of projects also included a role as Tonto in a 2003 WB pilot for a new version of THE LONE RANGER and a spot with the Spirit of the West Riders in the Tournament of Roses Parade atop his paint horse Ty-ee. 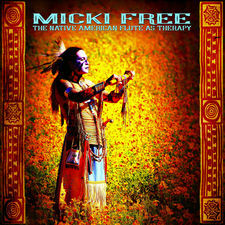 FREEs return to rock came in 2004 after he had moved to Sedona, Ariz., and was approached by the Seminole Tribe of Florida, which had purchased Hard Rock International and invited Free to first be one of its grand opening performers--ï¿½I thought they wanted flute music; they said Forget that; we want you to play your Micki Free stuffï¿½ï¿½ï¿½--and then its Director of Promotion and Special Events, which has made him a worldwide ambassador for Hard Rock International and The Seminole Tribe of Florida. Its also given FREE the opportunity to create the Native Music Rocks label for Native American artists, many of which he has produced himself. It was a ZZ Top gig at Hard Rock Live in Hollywood, FL, that led to the first step in Free mounting AMERICAN HORSE. He met Billy Gibbons that night, and the bearded icon--ï¿½One of my favorite guitar players of all timeï¿½--not only gave FREE one of his Billy Bo guitars but also suggested they repair to Compass Point Studios in the Bahamas to do some recording with mutual friend Terry Manning. Their recordings as GFM are in the vaults until the trio has the proper time to promote them, but FREE was ï¿½inspiredï¿½ to take his axe back into the studio and make his own new rock album. 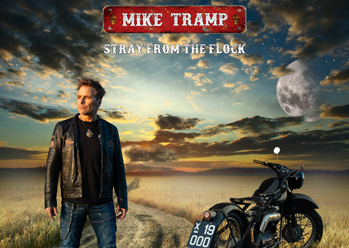 With AMERICAN HORSE out of the stable, FREE is ready to take his current Electric Blues Experience on the road, featuring drummer Cindy Blackman, doing what he does best.